Artist-in-residence programmes often take the form of a gathering, inviting people from various places to participate in something unique and temporal. The model is that of a global-community in miniature, where disparate perspectives are put into close proximity to enable an exchange of ideas and practices. 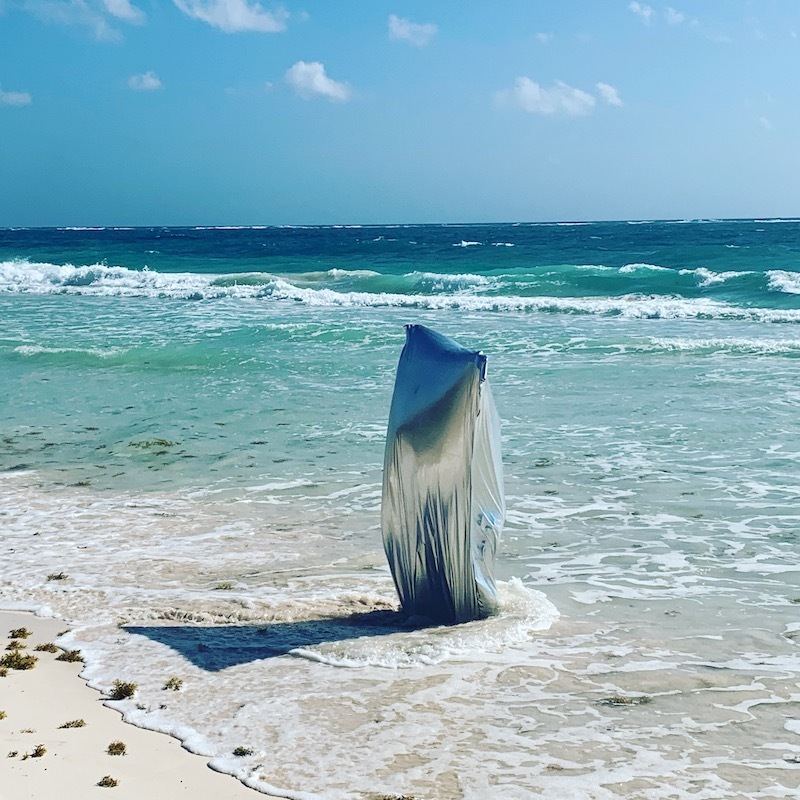 Aki Aora, which derives its name derives from the Spanish words aqui and ahora, or here and now, is a residency programme based in Tulum, Mexico that adopts this principle of exchange. 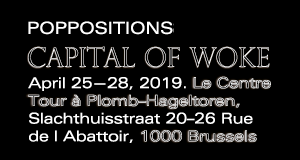 Yet the programme also cultivates a particular focus on the local, aiming to include, and possibly even highlight, those working at the regional level. This year’s Aki Aora project is curated by Founder Sally Montes and Guest London-based curator Sasha Galitzine. Berlin Art Link spoke with Montes, who offered some valuable insight into the community-based directives of the programme. Sarah Messerschmidt: Tulum is an interesting choice of location, given that it is widely known as a beach destination for holiday-makers. Already there is a notion of people coming from outside. To start, it would be interesting to know what the city means to you? Sally Montes: I grew up here and when I was very young, it was a very small town where everybody knew each other and the community was very strong. Nobody locked their doors and the roads were unpaved. There was one bar playing reggae music and you’d see local fishermen, archeologists and anthropologists, musicians, architects, biologists, journalists, intellectuals, tour guides and almost everyone living in the locality from all social classes mixing in one space. But of course the region is very beautiful, and we have always been painfully aware of the foreign investment and tourism that were looming as unstoppable forces, as well as the promises of economic growth and progress that would camouflage for some time the displacement of biodiversity. The lack of effective urban planning and funding for the development of communal areas, such as green spaces meant to preserve both cultural and natural resources, has seen a decline over the past few decades. I saw the growth happening in Playa del Carmen and Cancun and fear the same destiny for Tulum, as both places mentioned have become an example of what Mexico is not at its core: adopting a culture that mostly caters to foreign tourism. SM: So how does Aki Aora strike a balance between these conflicting themes of local and international, given that the residency is not entirely local but also resists being a destination for tourists? SM: The residency is very much focused on facilitating collaborations with local residents. 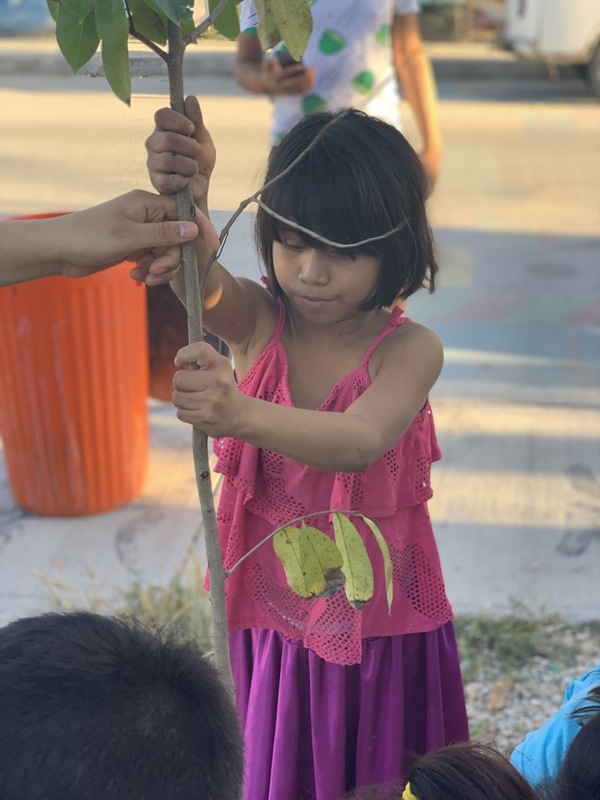 Even if the artists are from outside (even from within Mexico) they are often working with local residents, as much of the work is developed from observations and in-depth research in this area. So generally the artists are selected because they are interested in collaboration and social practice. It is very much about the exchange of ideas and collaborations, and the fact that some of the artists’ work then travels to various exhibitions globally can also help to vocalise local issues here to reach international audiences. Speaking more conceptually, for the first two editions we specifically wanted to reflect the implicit tension between the locals and foreigners in Tulum, a city constantly on the verge of becoming either a utopia or a dystopia (this was our theme last edition) – a utopia in terms of the sustainability, community and development that it does have the potential to pioneer; a dystopia in terms of the dark powers of corruption that it succumbs to. For this edition, the third, we want to focus on actions and collaborations in public space to have the accessibility and potential to engage with the local residents even more. We therefore invited artists to consider guerrilla tactics in their work as well as the Anthropocene in order to respond to the recent expansion of slow and invisible violence that has come with the promise of economic growth, progress and “well being” as implied by buzzy, aspirational branding, like the term “eco chic”, while simultaneously disrupting the region’s biodiversity. There is also a larger thread, which is that Aki Aora serves as a platform to reflect and question current global events in a safe space that evolves according to contemporary culture. SM: The idea of “here and now” (aqui ahora) and “here already” (aca ya) seems like a valiant yell from the Mexican art world, as in, “Mexico is here” and “has always been here”. Given that Mexico is rapidly establishing itself internationally as a centre for contemporary art, how does Aki Aora define itself in relation to places like Mexico City? SM: Since the beginning of AKI AORA in 2017, we have been letting our research and our work function as a way of mapping the symbiosis and ongoing development of organizational forms in indeterminate spaces and of serving as a tool to question and think about how we occupy these spaces, how we perceive ourselves and others in a context abundant with nature as an iconic image, as well as serving as an open forum to reflect on current global events. At the center of our experimentation are specific landscapes and practices. The method emerges from a continual research and exploration with the materiality of the tensions and conflicts that form part of the borders as a set of social relations. There are a lot of great Mexican artists, but there is barely any cultural funding from the state nor is there much philanthropy. So we want to provide artists a platform to respond to the context here with no pressure to sell the work commercially, to rather act as part of a historical archive of Tulum here and now. The situation here is very nuanced because of this catering to foreign investment, so all the artists responding to this are hyper-aware of which audience their work is speaking to. For instance, this year we invited back Invasorix, who was part of last year’s residency, to continue their conversation with the place. Because of their previous research and as Mexicans they were already well versed in the complexities of the environment in Tulum. For a project that’s so site-specific it is vital to have an ongoing dialogue with the area. Their performance last year was also very guerrilla, reclaiming the female body to perform various Latin dance genres with and in front of and inviting women and local residents to join them. They also made a whole CD of reggaeton that contained female empowerment lyrics. SM: So how did they continue this conversation this year? 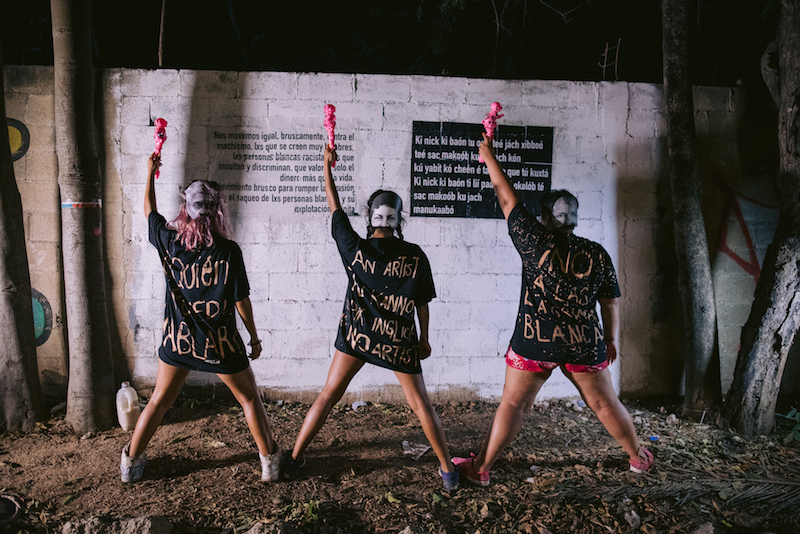 SM: One aspect is that they created their own feminist reggaeton and they also created different facial masks as treatment for privilege. One mask was called white noise and the other was bring back the gold in reference to the Spanish pilfering of Mayan Gold in colonial times. Despite being Mexican and Colombian, they realised that as non-residents they too are outsiders, so instead of giving free masks to the local community and the concept of “white privilege”, they reconsidered the concept of being in the privileged position of the artist. All of their work was in Spanish and Mayan as well as English, as they were deeply aware of the audiences they were trying to speak to. SM: You’ve described Aki Aora as acknowledging the strong presence of “eco-tourism” in the region. I sense a play on the yogic convention of presence (to be here, now), with the claim that, prior to the influx of eco-chic yoga retreats, there were already communities and cultures in Tulum (aca ya, already here). How does Aki Aora respond to the complexities of tourism, which includes questions of cultural colonialism and ecological degradation, differently to other eco-tourist initiatives? 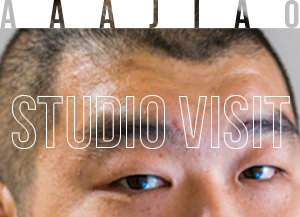 SM: Aki Aora serves as a tool to historically archive a cultural reflection of the here and now. This term is also often used as a popular news media title in most Hispanic countries, as in Aquí y Ahora. Aki Aora provides a platform for reflection on current global events, apart from institutions and commercial galleries, so the work is not limited as a means to an end approach and rather more focused on the process and the approach and response that different artists from different backgrounds experiment during the residency. 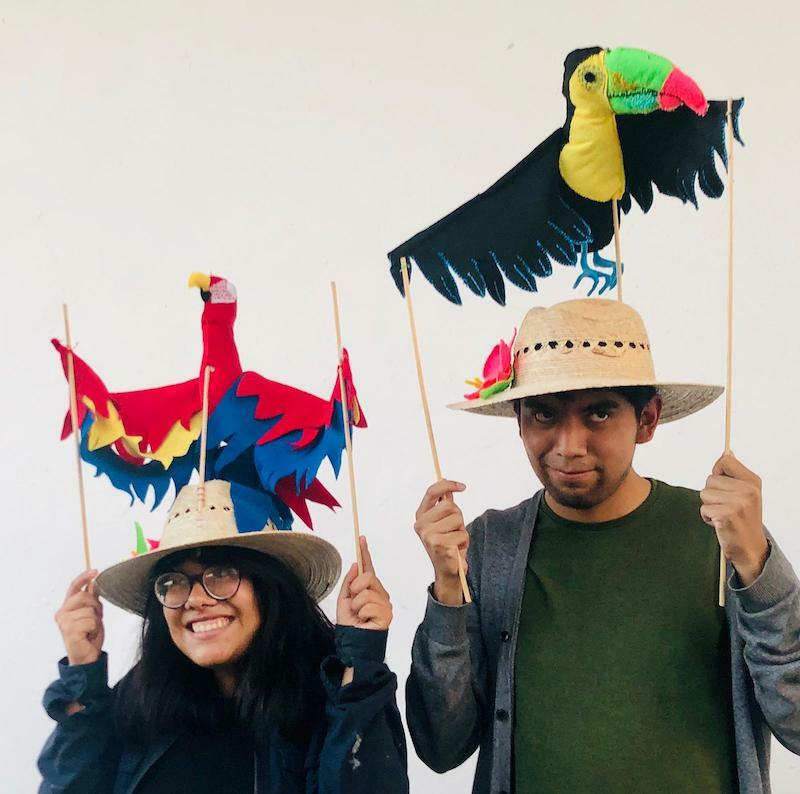 For example, in this edition Wendy Cabrera Rubio and Josue Mejia have been looking at the complexities of eco-tourism in the area as well as linking it to the history of Mexico’s own representation of its cultural history. The pair have been focusing on the most prominent eco-park in the area and linking it with two architectural projects by Pedro Ramirez Vazquez, one of the most important figures in the creation of the symbols and images of the Mexican nation: the 1992 Mexican Pavilion in Seville and the Museum of Anthropology in Mexico City. Wendy and Josue are working with the aesthetics of the eco-park and its billboards, in particular its use of the figure ‘X’ in relation to this letter’s prominence in mannequins of Mexico City’s important ethnographic museum and in the murals of Carlos Merida and Matiaz Goeritz, which are in the same building. The politics of the use of the letter ‘X’—its shape of a cross as one of the weapons to represent Mexico, as in ‘MeXico’, rather than spelling it with the common ‘j’—emphasise Mexico’s relationship with the world and its pre-Hispanic past. This letter is often present in the aesthetics of Vazquez. SM: I want to quickly return to your use of the phrase ‘guerrilla tactics’, which has both anarchistic and militaristic implications. 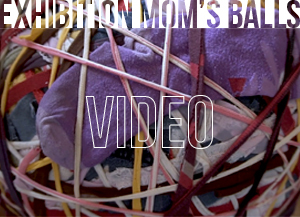 What does it mean to encourage the artists in residence to consider this in their work? SM: In military terms, guerrilla tactics implies a small group of insurgents using low-tech counter resistance strategies to infiltrate systems. I think this acts as a metaphor for the state of the artist making work here in the context of Tulum, where there are relatively few artists working. Performance in public space seems particularly anarchist, but they are politically futile unless there are real collaborations that make the work accessible. 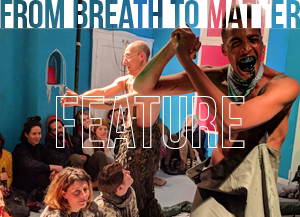 We wanted the artists during this edition to think about ways they could make small but powerful interventions that could provoke thought in audiences, ranging from the Mayan speaking communities, the local residents and foreign tourists. In terms of Mayan culture, guerrilla tactics were historically used to hack the system, undermine Spanish invaders, and preserve their culture. For instance, Mayans openly adopted symbols like the Christian cross, but would associate these symbols to their deities as an act of resistance. We therefore thought it appropriate both historically and in this new wave of colonialism with foreign tourism to think of ways of raising local concerns, using local collaborators and site-specific research in order to decode the poetics and aesthetics of disruption and include and encourage conversation amongst the public.